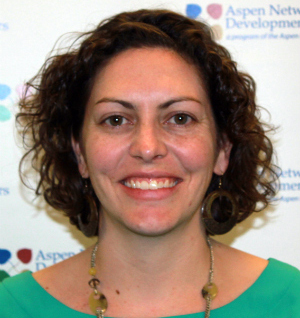 Susannah joined ANDE with six years of experience in program management and community engagement in domestic and international start-ups and foundations committed to social good. Susannah’s socially focused career includes connecting a Rwandan village with the social enterprise Indego Africa, and leading ThinkImpact’s Scholars in rural South Africa, using Human Centered Design to partner with local social entrepreneurs and develop successful enterprises. She also lived in Liberia mapping the social enterprise and impact investing landscape. Most recently, she managed a program on public private partnerships in Brazil for the U.S. Department of Housing and Urban Development’s Office for International and Philanthropic Innovation. Finally, she engaged the community through alumni and volunteer programs for the nonprofit College Summit to increase low-income high school students’ college enrollments. Susannah earned a BA from the University of Virginia, and a MBA focused on Global Development and Social Entrepreneurship from the Thunderbird School of Global Management.